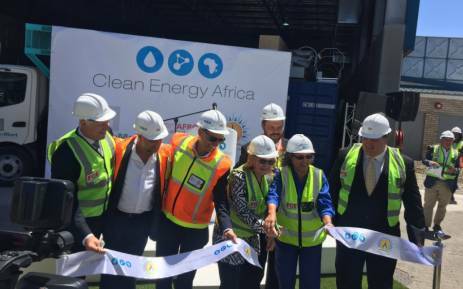 On 25 January, in what is thought to be the first of its kind in Africa, a ZAR 400 million waste-to- energy conversion plant was officially opened in Cape Town, South Africa. The plant will be run by New Horizons Energy and was built in collaboration between Waste Mart and Clean Energy Africa. Speaking at the opening ceremony, Cape Town’s Major Patricia de Lille, is quoted by News24 as saying “This is an exciting addition to the green economy in Cape Town.” The new plant is expected to help reduce the amount of waste collected in Cape Town’s landfill sites as well as to create new jobs. It also helps the city’s move towards having 20% of renewable energy as part of its overall energy mix. At present, the City of Cape Town generates around 8,000 tonnes of waste per day and has high landfill prices. The new plant is expected to use around 500 tonnes of waste per day generated from organic household, municipal and industrial sources “in an anaerobic process, to produce methane, food-grade carbon dioxide, and organic fertilizer.” Everything produced by the plant’s mechanical processes is used, thereby ensuring that it produces “zero waste,” and is then sold at a profit. Egmont Otterman, the CEO of New Horizons Energy, commented that if another eight waste-to-energy plants of this type, were built then the City of Cape Town would have no further need for landfill sites.